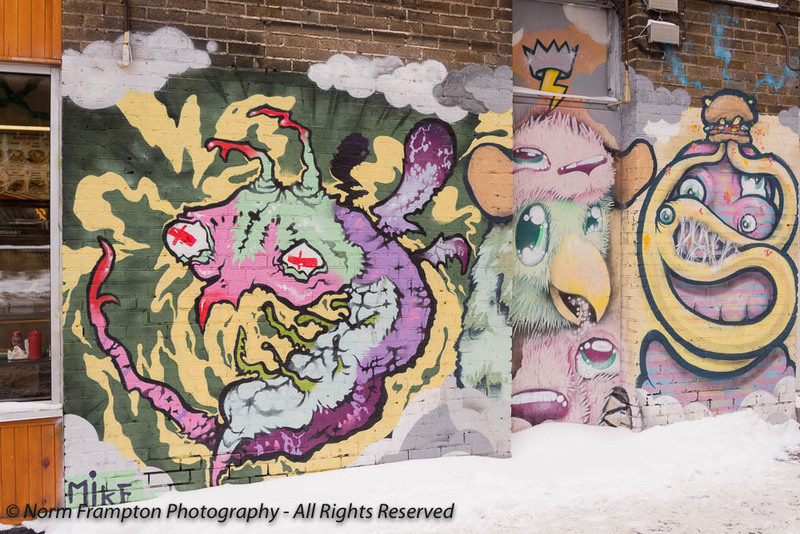 Back in Montréal’s Plateau Mont-Royal borough this week to look at some of the rather funky graffiti/street-art doors I captured on a recent doorscursion. 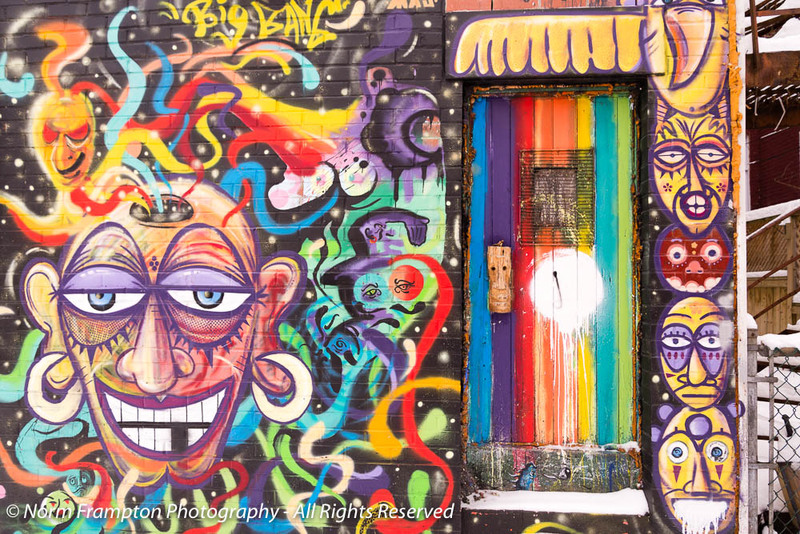 This one is more about the street-art, but it is book-ended by doors, right? Going up – going down. Explosion at the Crayola factory perhaps? I hope you enjoyed, and as always I thank you for stopping by. 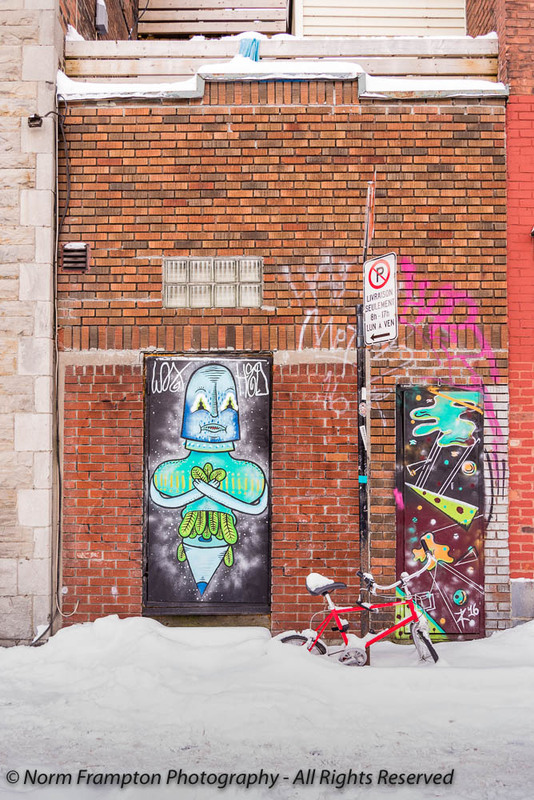 Gallery | This entry was posted in Photography, Thursday Doors and tagged Doors, Montreal, Plateau Mont Royal, Québec, street art, street scenes, Thursday Doors. Bookmark the permalink. Norm, I think I am remiss in not stopping by last week. I apologize and am not sure what happened! 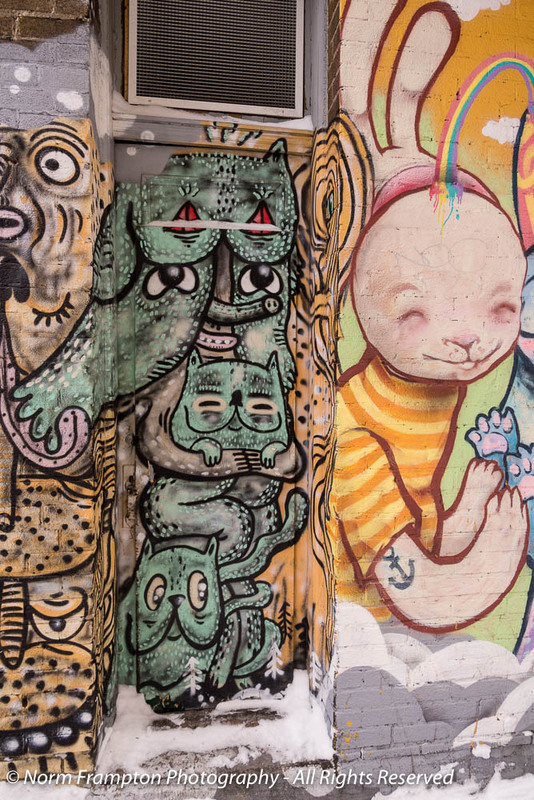 Fantastic and fun murals/street art including hidden doors. Great finds! 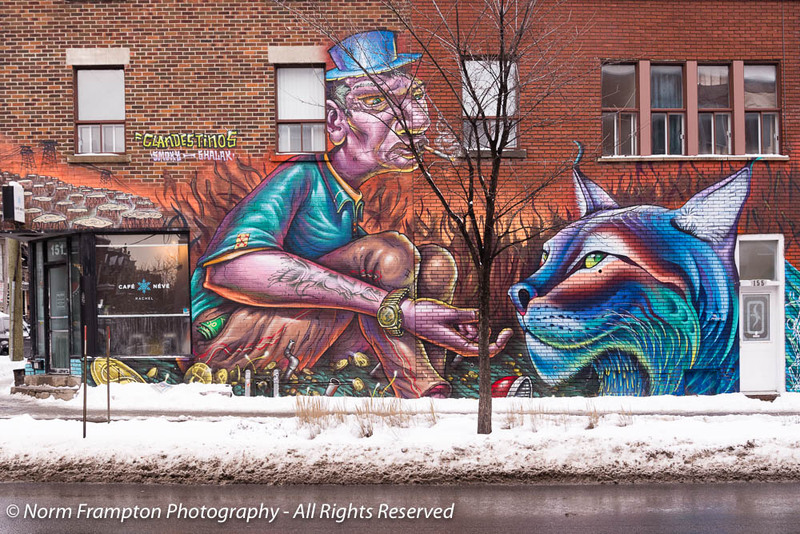 I recognize several of the murals from our visit to Montreal last June! It seemed that we saw them just about everywhere we looked. I love the color and the creativity. Love your pics this week. 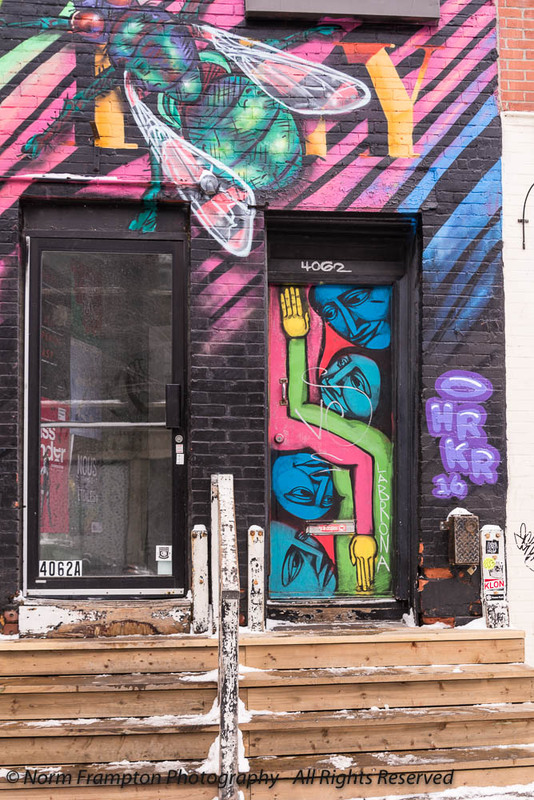 Hmm that’s quite a counterintuitive yet clever way to hide/disguise a door – paint something extravagant and eye-catching all over and all around it! Love these! The fly is my favourite. Thanks. I’d almost like to go back and re-shoot that one. I was stick between the sidewalk and some parked cars behind me which made it hard to get everything into the shot. That rooster is awesome. Very colorful. Norm, these are Wonderful. Hilarious, creative, original, colorful, unique…Wonderful! I agree – thank you! All very colorful and imaginative! A great collection:) In the first one it’s not the door but the bike in the snow that cracks me up, because serendipitous-ly, hubby looked up a bike in our garage, and put it in front of the garage door, to shoot a pic for me to put on my blog for next week! (both without knowing what was on your post)! Would not paint over the 5th if it became my garage door. Absolutely brilliant street art, Norm. Thanks for sharing! I have completed my “Thursday Door Post” for this week, but decided to post it tomorrow. You’ll see why then. Thanks again for the inspiration! Love them all Norman especially number 4! Wow! Makes me want to go outside and paint my door. Of course it wouldn’t be a fabulous as these. Here’s hoping my entry got linked correctly. Thanks for the idea of writing about doors! Beautiful art. My grandfather would have loved the rooster one. 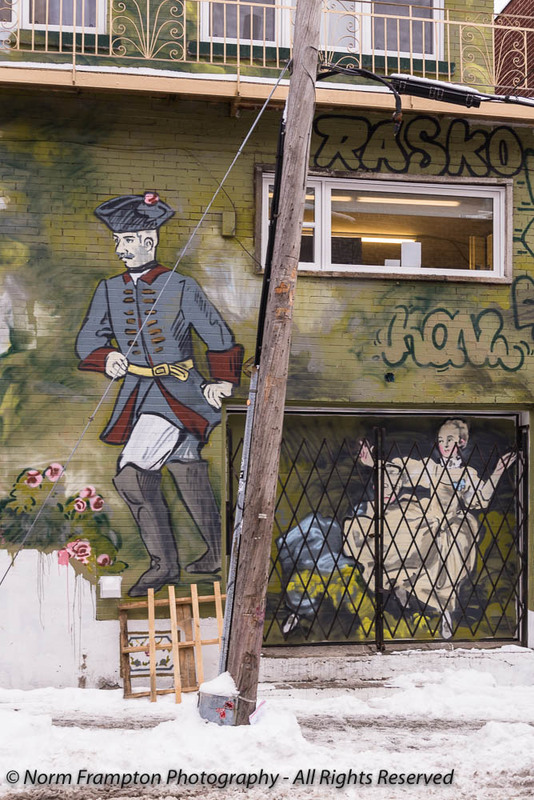 Some fabulous doors and street art here, Norm 🙂 I think the soldier is my favourite one. Must have been fun to photograph! Some very cool street art, Norm!!! What an interesting collection! I love it! In the main, I’m not a great fan of graffiti as loosely described, but this is proper street art. And we get to play Spot The Door too. These are great, Norm. For some reason, I like the fourth one with the rooster the best. But what amazing artists. The colors on that rooster door just jump out at you don’t they? 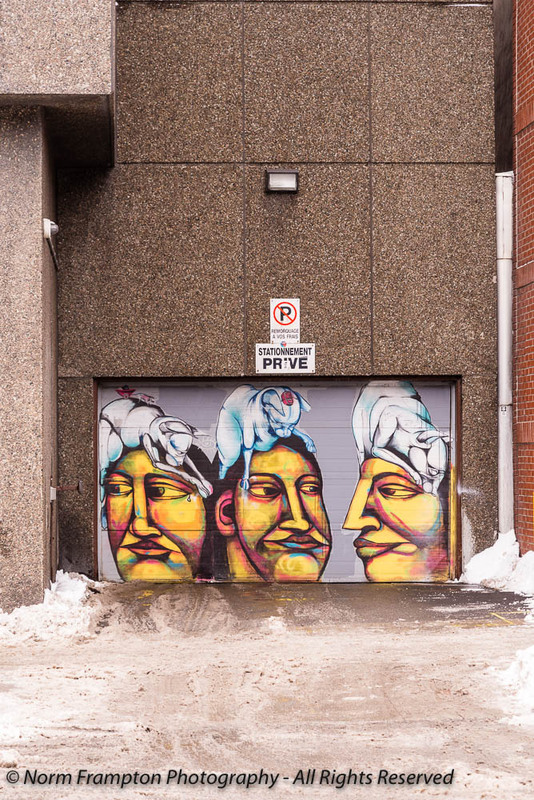 Beautiful art work on the doors….great photos Norm ! The chickens! The cats! The colors! The lines! I especially loved the ones that bled the art on the doors just barely beyond the doors — outside the frame, as it were. The colors and liveliness certainly warm up the season! I love seeing art like this on walls and doors. It brightens up the dreary city. Those doors are amazing and fun. 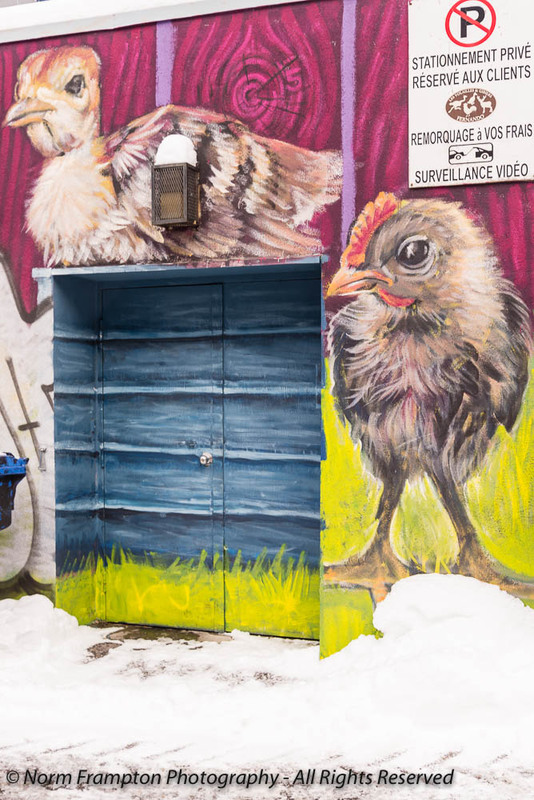 I love the giant rooster garage door and I like the garage door that blends so well into the wall of birds. I know it might be temporary, but I like that the colonial soldier looks like he climbed up on the trellis. These are great, and I think the would brighten up a winter day. Hmmm, where’s my spray paint? But no bail – right? 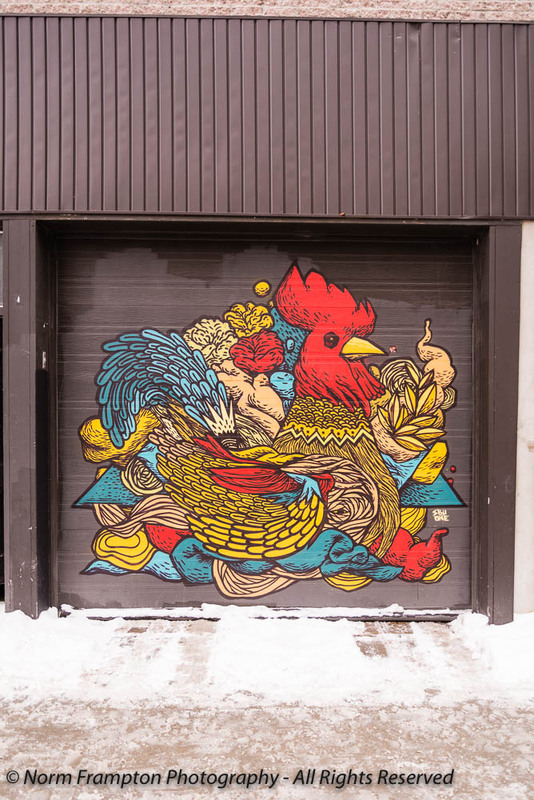 Love the garage door with the rooster . Norm, those doors are cooler than cool. I love all of the doors, but the one with the colonial people and the guy with the tattoo feeding a wild cat are the best. Thanks for sharing your amazing photos and doors. Very nice, the doors of Montreal. Loved this post Norm. Wonderful. 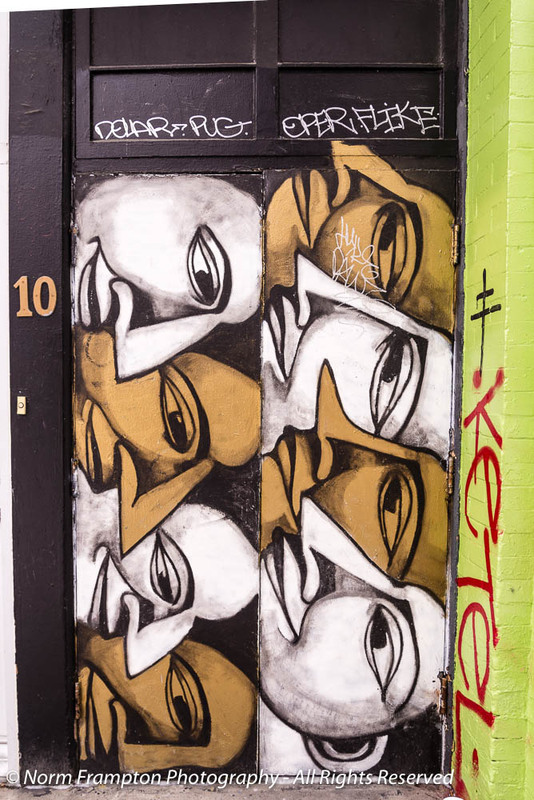 Great street art doors Norm – very clever! Brilliant street art, Norm. I had to look twice at some of those photos to see the door in them. I love the huge fly, very unusual. Oh, yeah, funky! Thanks for these!